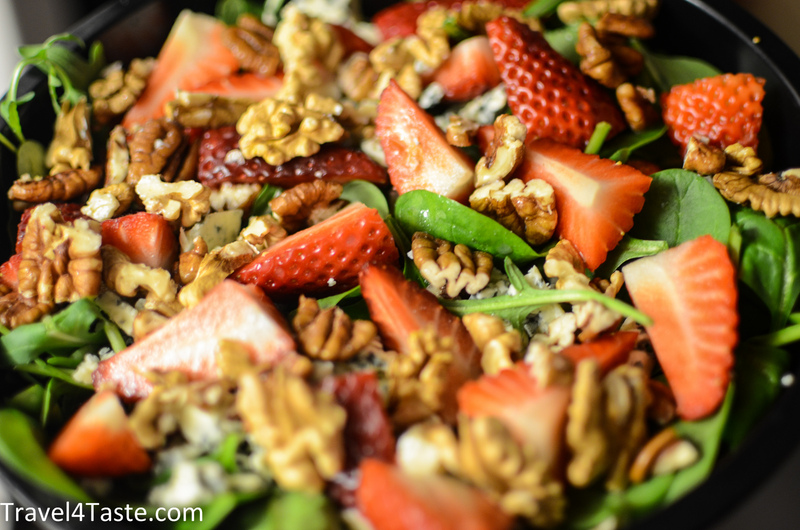 I love the combination of sweet strawberries with savory blue cheese and nuts! 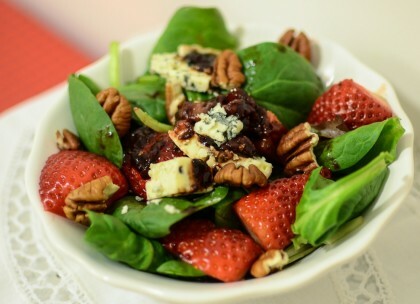 The dressing is worth a special piece of attention: fried strawberries with balsamic vinegar makes this salad a real excellence! 1. 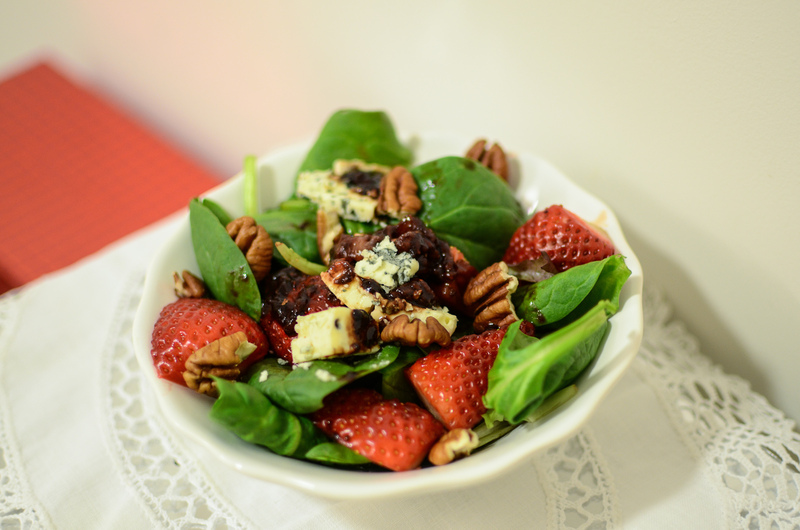 Start with dressing so it has time to cool down a little bit. Put strawberries on a hot pan. 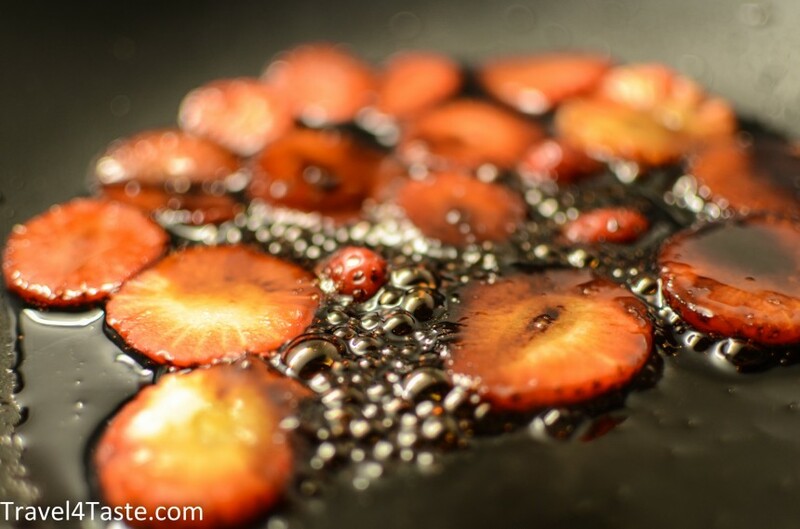 Add sugar and 3 spoons of vinegar. 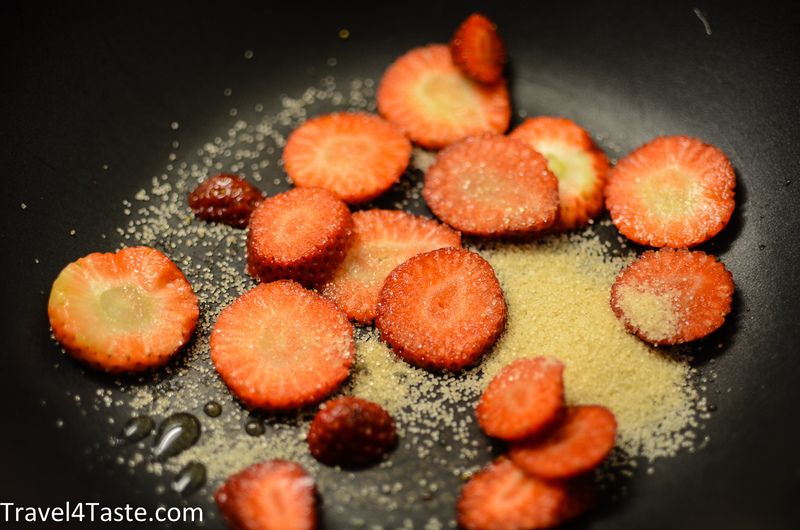 Cook for around 5min until strawberries get very soft. 2. Put it on the side so it cools down. It will have a texture of a jam so just before puting it on the salad add another spoon of vinegar and mix well. 3. Put salad in a bowl. 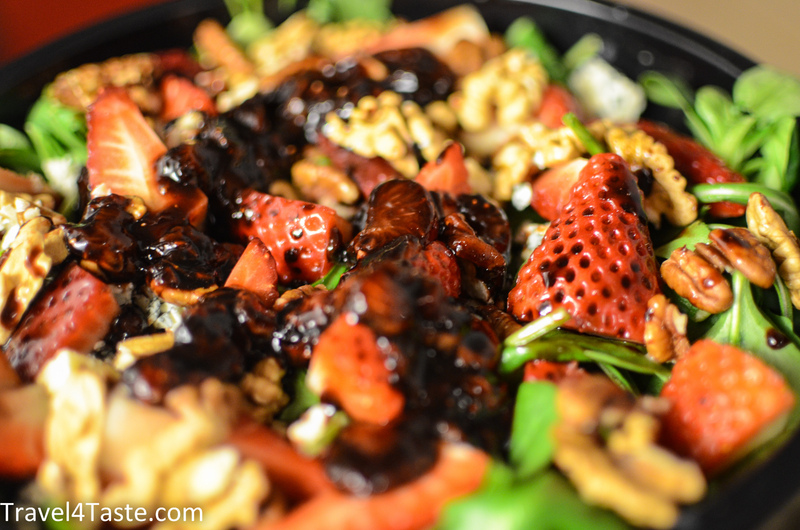 Add nuts, cheese and strawberries on the top. 4. Pour the dressing over. 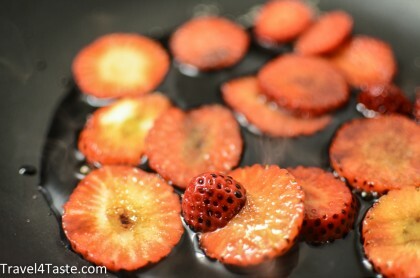 How delicious is that!!! 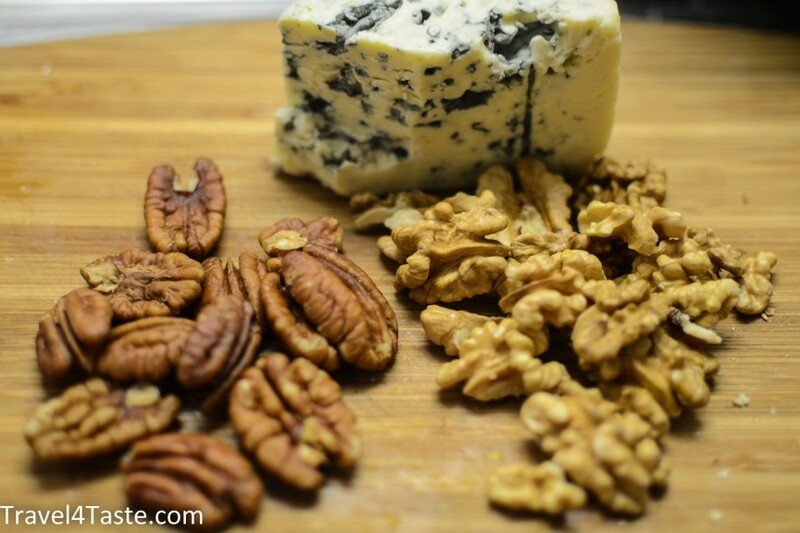 This entry was posted in B-Day, Cheese, Dessert, Dinner, French cheese, Fruits, Healthy, Salad, Salad, Valentine's Day. Bookmark the permalink.